An aging fighter's life falls apart as he refuses to face the end of his once bright career. Written and directed by Nick Epstein. When a man is found dead in the petrol station run by Horace Jones (Mark Hadlow), a surprising opportunity arises to get rid of some debt. But things get complicated when a menacing customer (Jed Brophy) shows up looking for the dead man’s money. Shot entirely on an iPhone at a petrol station in Motueka, Blue Moon is the third feature from writer/director Stefen Harris, who used his years as a police officer as inspiration for what goes on in the wee small hours. 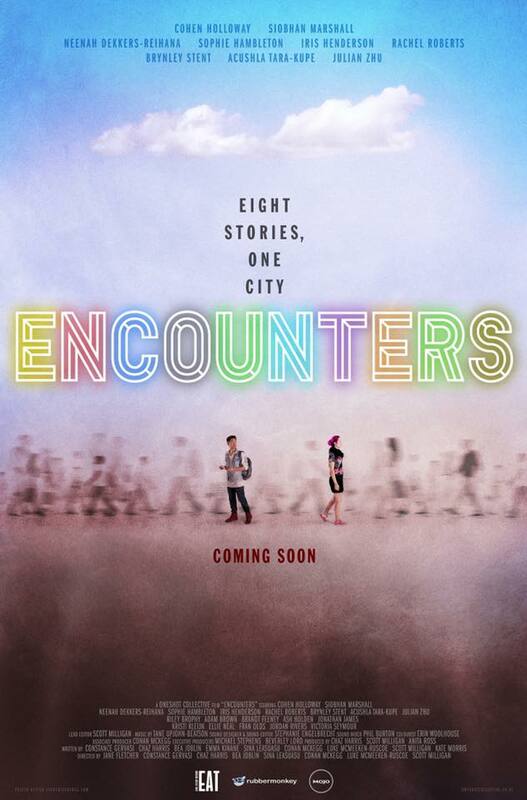 Encounters is a multi-genre anthology film interweaving stories of chance meetings leading to a rollercoaster ride of reflections on life, loss and love. Eight emerging New Zealand directors and a diverse group of local cast and crew tell tales ranging from delightful to disturbing, romantic to rebellious. Set in New Zealand in the 1970s, Possum is a tale of two young brothers who accompany their lumberjack father to a forest campsite. At odds with each other, the two hatch a plan to head into the woods and hunt for a notorious possum named Scar. The score is a warm mix of gypsy jazz, string quartet, and nimble clarinet. A web series about a group of high school teenagers trapped in the middle of an apocalyptic viral outbreak. Over the course of the series the score sickens and mutates from familiar high energy action music to darkly unsettling industrial. My composition and sound design work on the series was recognised at the 2016 LA Webfest where it was awarded both "Best Original Score: Drama" and "Best Sound Design: Drama"
A high production value dark fantasy short film. I took an exploratory approach to a fantasy horror score, combining stunning performances from members of the New Zealand Symphony Orchestra and Tudor Consort with left field sounds like a Japanese koto and bowing the springs from an attic-staircase. An emotionally honest trans-gender short about a troubled reunion. The indie rock score swings easily between tenderness and raw angst. A short film about the fleeting reunion and strained relationship of a brother and sister. The score has an indie electronica/ambient flavour, evoking the emptiness of a 20something's struggling to find direction in life. A surreal short with an emotional gut punch ending, created as part of the annual 48hours filmmaking competition. The score was awarded the National Best Score prize for 2015, as well as the film receiving a coveted Peter Jackson Wildcard award. A darkly comic animated short about a world-wide meat crisis, and a scientist who finds an unexpected solution. The sound design brims with squelching and gore as experiments are carried out and the ‘Shmeat’ grows. This ‘Stalker rom-com’ was the winner of the 2012 Make My Movie competition. In collaboration with Richard Falkner I wrote a genre-hopping score, which blended elements of noir and indie rock to tell the underdog's secret agent story. An immersive and innovative exhibition artistically directed by New Zealand's renowned Weta Workshops. For the exhibition I created an hour long cinematic score and sound design written to open out the emotional worlds of diary entries from selected characters of the era. Recorded by the magnificent New Zealand Symphony Orchestra, the score and sound make up a 100+ channel journey of interlocking pieces that visitors to the exhibition move through at their own pace. 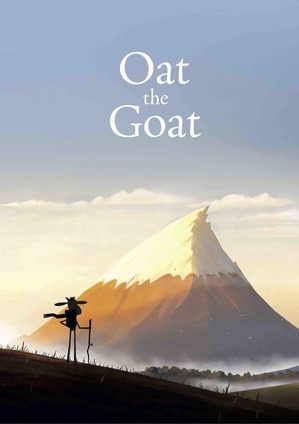 Music composition on the interactive online story book Oat the Goat. Music composition and sound design on the Weta Workshop and Te Papa exhibition Bug Lab. Music composition and sound design for the exhibition Omaka Dangerous Skies. STILL is an interactive digital memorial commissioned as part of the commemorations for the centenary of WW1. The work connects three international locations with an evolving meditative experience. The generative music-scape develops infinitely and reacts to user motions, immersing them in the experience of the artwork. A 90min play about the turn of the century slums of Dunedin and a dark presence. The score has a rough around the edges angular folk feeling, incorporating world elements that reflect the cultural melting pot that Dunedin was at the time. These spooky children’s tale from author and actress Evangaline Lilly features a lopsided jaunty score, and creepy creaky sound design (including a lively voice performance from actor Sylvester McCoy). 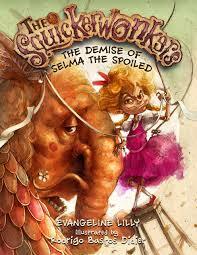 The Squickerwonkers Series is The Squickerwonkers (2014), The Squickerwonkers: The Demise of Selma the Spoiled (2017), The Squickerwonkers: The Demise of Lorna the Lazy (2018) and The Squickerwonkers: The Demise of Andy the Arrogant (2019). 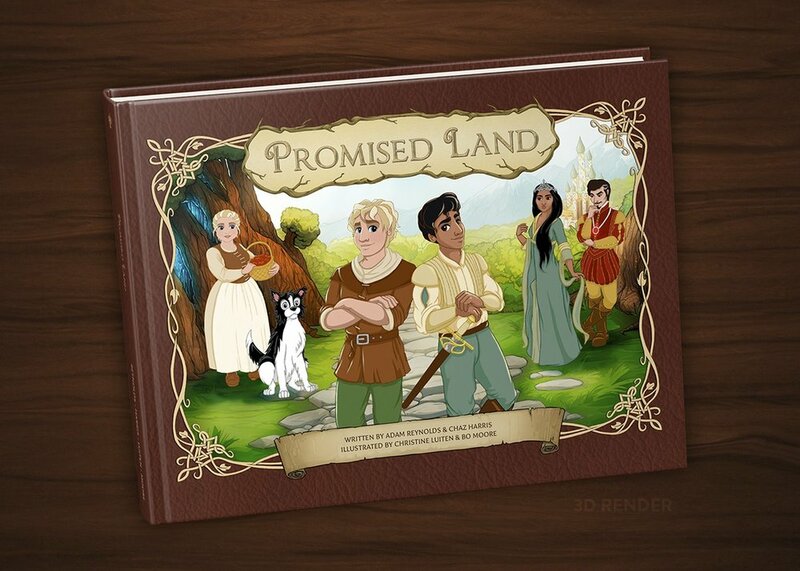 Promised Land is an illustrated LGBTQ themed children’s book written by Adam Reynolds & Chaz Harris and narrated by the award-winning actress Geraldine Brophy. Maiden Voyage is the follow-up to the internationally acclaimed LGBTQ themed fairytale Promised Land. Written by Jaimee Poipoi, Adam Reynolds & Chaz Harris. Music composition and sound design on the theatre show Troll. Troll was written and performed by Ralph McCubbin Howell and directed by Charlotte Bradley. Music composition for the theatre show Magicians. This play featured in the 2014 New Zealand International Arts Festival. The score and soundscape create a surreal merging of Maori, French and European cultures, nightmarish and euphoric visions. This charming one-man fantasy theatre piece has received multiple five star reviews and featured spots at international festivals. The score and sound design begin by emanating from an old gramophone on set, but progress to envelop the audience in a warm symphonic sound. An extravaganza stage show directed by Weta Workshops as a charity initiative to raise funds for the New Zealand Neo Natal Trust. I gladly donated my services composing a range of high intensity tracks, ranging from catwalk inspired house music to stomping bayou blues. 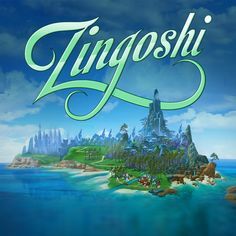 Music composition and sound design on the game The Zingoshi Chronicles: Episode 0. 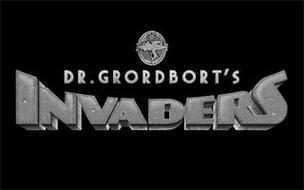 Additional music for the game Dr Grordborts: Invaders.